The Urban Summer Purse Tutorial is a 3 part series. Please follow me to receive notification of any updates automatically. I’ve made some minor adjustments to the straps for stability that will be revealed in the 3rd tutorial. Cut out 2 panels front and back from the solid color fabric 13 inches length x 9 inches width. Cut out 2 panels front and back from the printed fabric 13 inches length x 6 1/2 inches width. Pin front panels together, one solid and one printed. Repeat with back panels. Sew the panels together 5/8 seam allowance and press seam open. 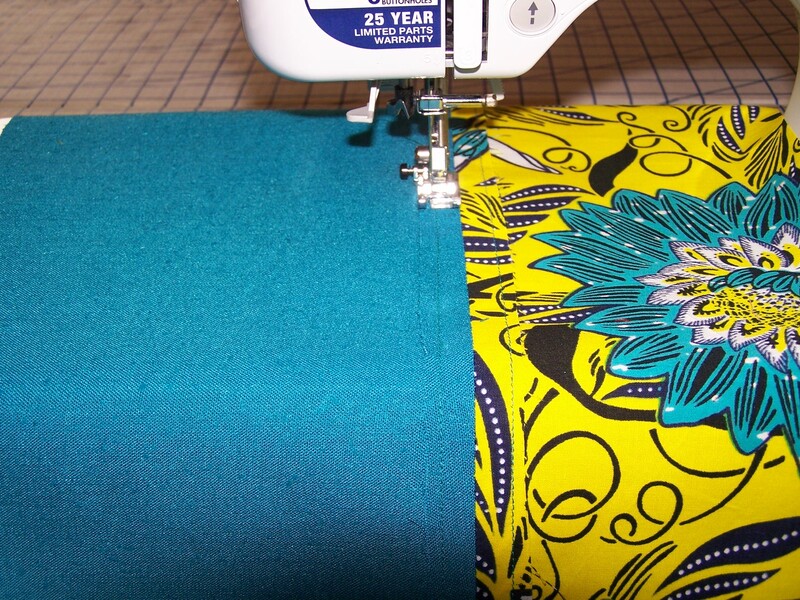 Sew decorative straight stitch above and below the original seam. (This will help create a support frame. Stay tuned for part 2 of the tutorial to create the purse lining, inside pocket and installing the purse feet.